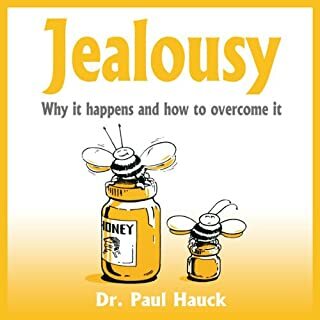 Jealousy can be a complex entanglement of many things. I can show you how to get the pile of entangled negative emotions that are damaging your life and relationship untangled. Inside this book I reveal proven methods for making positive changes in your relationships that can lead you into enjoying a much more serene and happy life. Relationship trust issues are usually at the very heart of the problem. 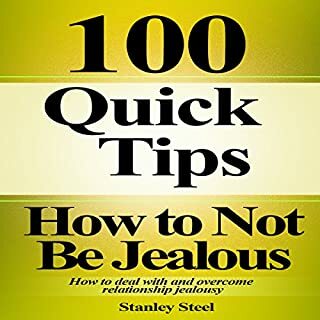 Are you tired of failed romantic relationships and friendships? Have your previous partners told you that you are "too possessive" or "jealous"? Do you feel yourself burn with jealousy when you see your partner talking with some attractive acquaintance? Do you go through your partner's things or demand detailed explanations of where they have been? Most people know this isn't the foundation for successful relationships, and they would like to stop reacting this way, but how? Author Jessica Riley outlines a 10-step plan for overcoming these hang-ups in Trust Issues. Riley pulls no punches here - she gets straight to the heart of the problem from the first chapter. She addresses right from the start your thinking process, which is leading you to exhibit your possessive behavior. However, Riley is careful to explain the difference between our thinking and our actions. If that sounds too obvious, remember that your goal is to decrease the actions you're taking that are toxic to your relationships (the thoughts you are having may not feel good, but the problems with your partner don't start until you start acting on those thoughts). Trust Issues begins with some questions for the listener's personal reflection, so you may want to have your journal handy as you listen. These questions will start you on your journey to improved relationships with some knowledge about yourself. Armed with the answers to these questions, you can move into Riley's chapter on why you have difficulties believing what your partner is saying to you. 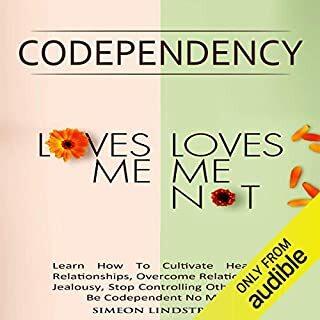 This will be a huge chapter for you if you're struggling with overpossessiveness, because your partner's statements ("I'm working late tonight" or "that was my mom on the phone") are often the flash points for conflict. The key to this book is to identify where your insecurities come from and how to deal with them yourself. Otherwise you will drag other people you care about down a negative and nasty path of shame and regret. The author sets some simple but effective steps for overcoming your insecurities but it takes effort and commitment from the YOU, the reader, to follow through and believe. It's a long process dealing with these types of issues but this book will help jump start the process. 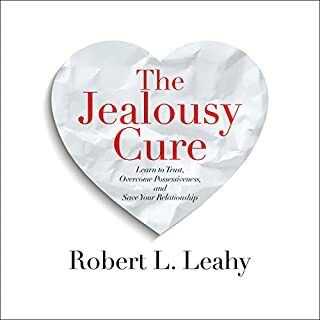 I had a shift through this book and I understood opposite Jealousy is not not to be Jealous. it's a complete different approach and shift. while I was a jealous person and had so much anxiety and stress for the same thing , now I feel so free and much happier than before reading the book. I hope it happens to many people. 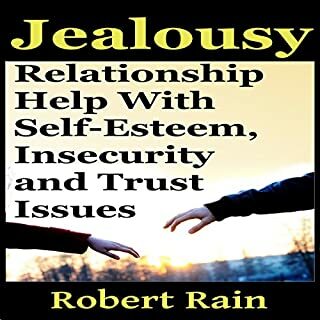 this book covers everything you need to know about insecurities, jealousy and exactly how to overcome it all. amazing. I will definitely read it a few more times. it's tell all needed advice to build a great and happy relationship. described all that we all do wrong and tell how to avoid painful situation. it couches great copying skill. the advices worth for life time. The book itself is marred by lack of vocabulary and reuse of certain words and phrases, while the narration is atrocious. It sounds like a monotone script reading. I'm not sure why this is so highly rated. Excellent self help book. If you are having trust and jealousy issues this is well worth the read. Excelent book for those with trust issues. Highly recommend for those people dealing with trust issue due to traumas, fears, insecurities, etc. I founded to be true. It talks about the issues in dealing with trust and the consequences of not working to resolve them. Great Book! Very well written! The book was very easy to follow. 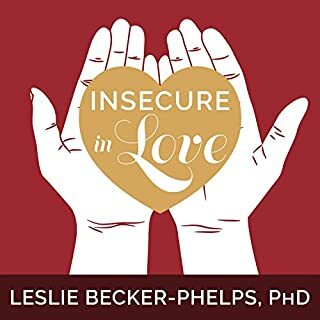 It had some great tips to overcome insecurities and overall, it helped me overcome mine. I recommend this book 100%. The narrator had a very calming voice which also helped to make this book easy to follow.